God bless Peirce Hall. Behind those heavy wooden doors lies a world of culinary experimentation unsurpassed by the most modern molecular gastronomy. Recently, special attention seems to have been paid to the Hearth station, where Chef Meagan seems to enjoy concocting exciting pizza-themed starches, as exemplified by last semester’s pizza muffin, and last Friday’s pizza waffle. But why stop there? Here, I give my humble opinions for some delicacies that could tickle the pizza-prone palate of any college student. 1. Pizza semifreddo. This Italian dessert could translate into a three-part frozen mousse: marinara, mozzarella, and essence of Canadian bacon. Together they’d make a frozen concoction that could be served either on a big cookie, or a savory cracker! 2. Pizza kale smoothie. This one is a no-brainer. Take the probably patented Peirce kale smoothie recipe, but subtract everything but the kale and toss some cheese, sauce and crust in! Peirce could even Fusion this up by doing toppings in the smoothie to order. 3. Spherified pizza. Spherification is a popular technique among the most modern chefs! Create tiny balls of the various ingredients, which resemble fish roe. Then set them on some rice, dab some wasabi on the side of the plate, and you have a new version of Peirce’s famous deconstructed sushi! 4. Pizza stew. Sorry vegetarians, this recipe is for meat-eaters only. 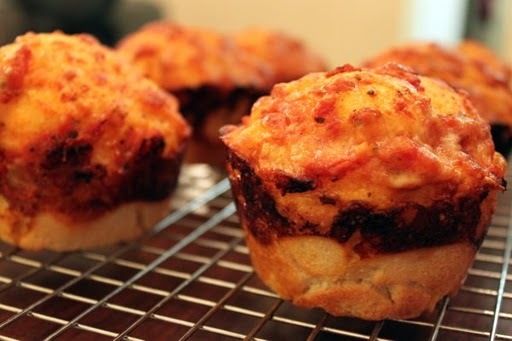 Take sausage, pepperoni and Canadian bacon and stew them in a tomato base. Add veggies to taste, then bake cheese on each bowl, similar to French onion soup. 5. Pizza pot stickers. See the most recent Student’s Choice? What does Kenyon want? Potstickers. When do we want them? Ten minutes ago. This should be a no brainer. Just ditch the sauce and the crust, and wrap the cheese and other toppings in wonton wrappers. Fry them up, and serve the marinara as a dipping sauce. It’d be like a calzone, but actually good. Perfect 10 o clock list! Claire Berman does it again!